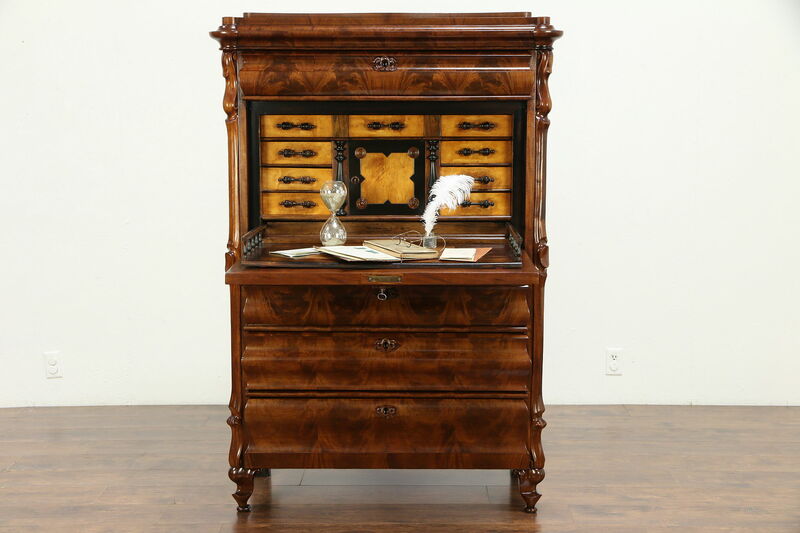 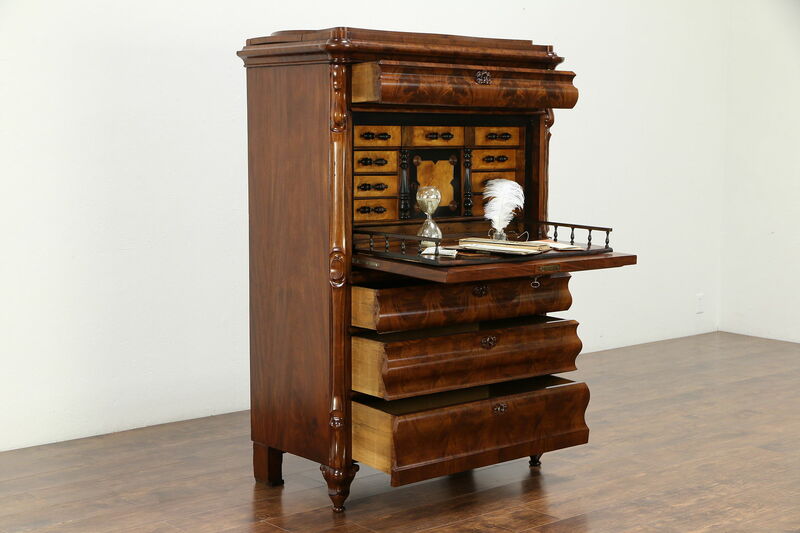 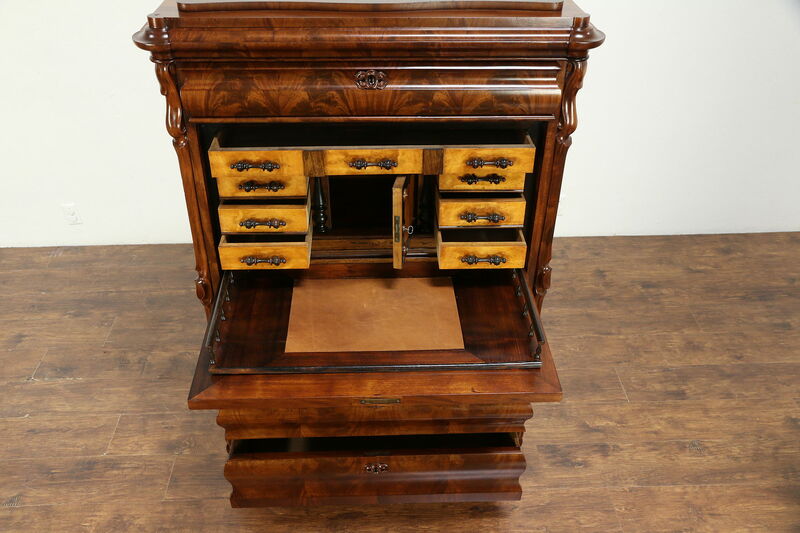 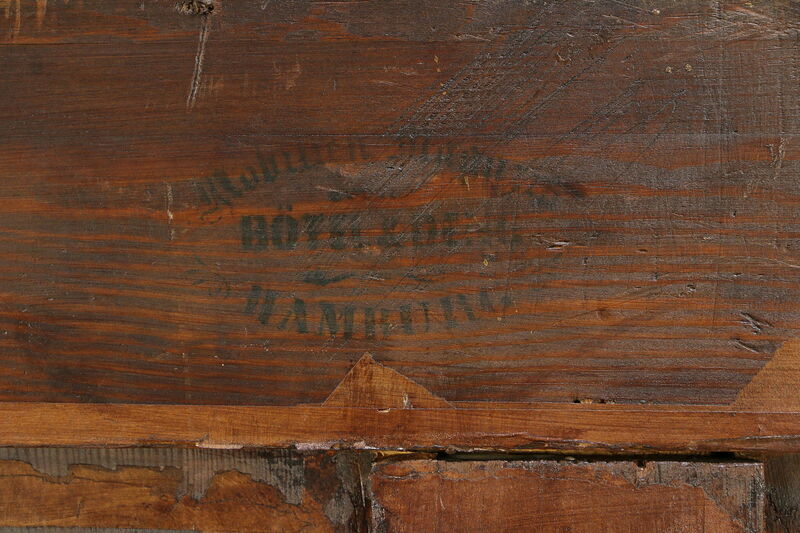 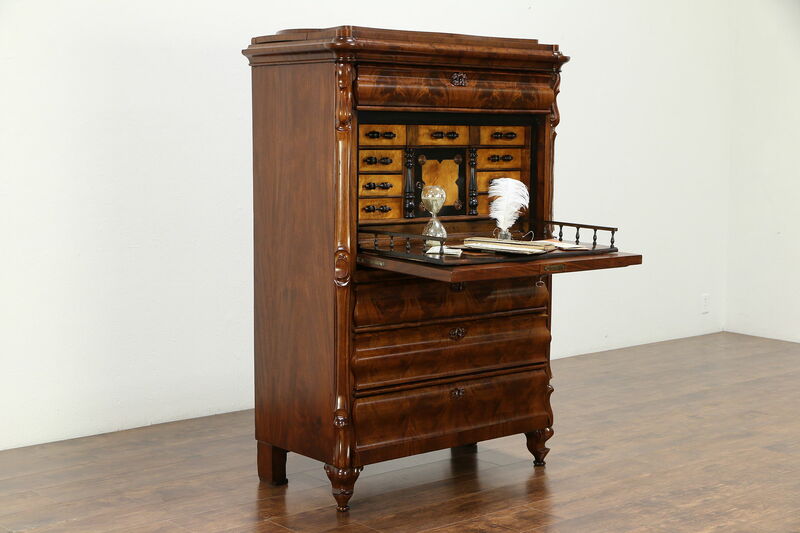 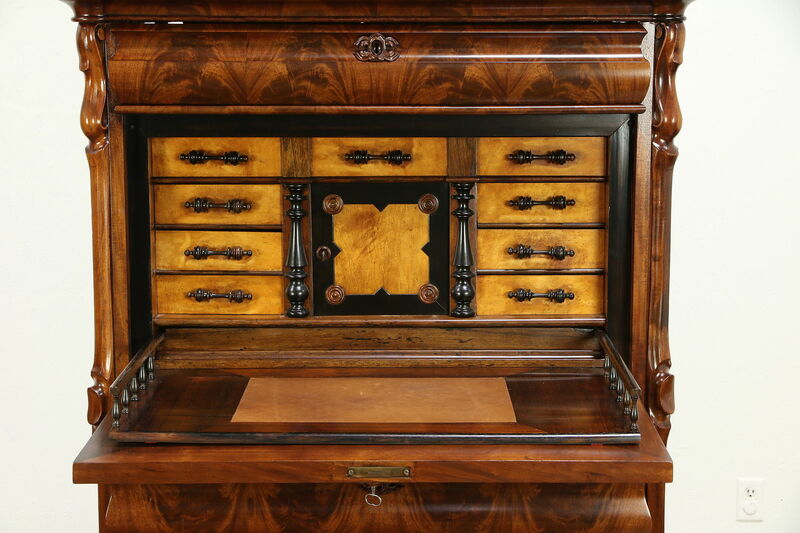 A spectacular German "Biedermeier" or Empire secretary desk from about 1840 is signed by the maker in Hamburg. 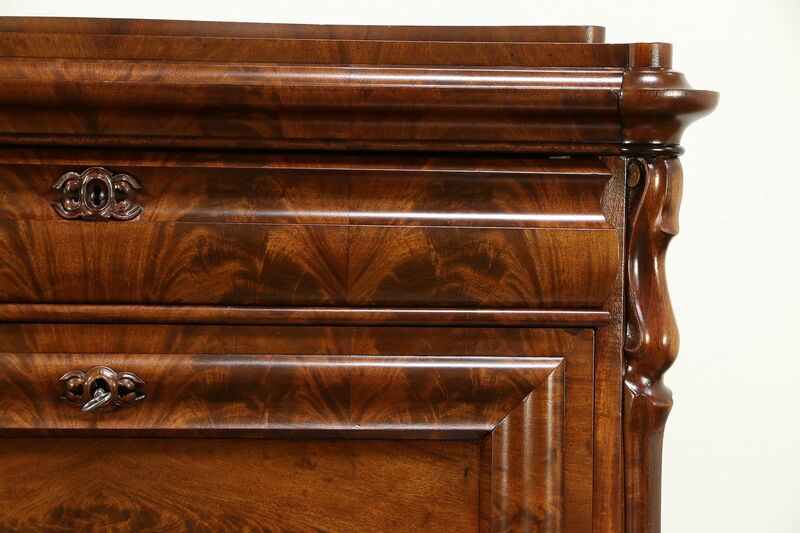 The shaped and scrolled exterior is matched flame grain mahogany. 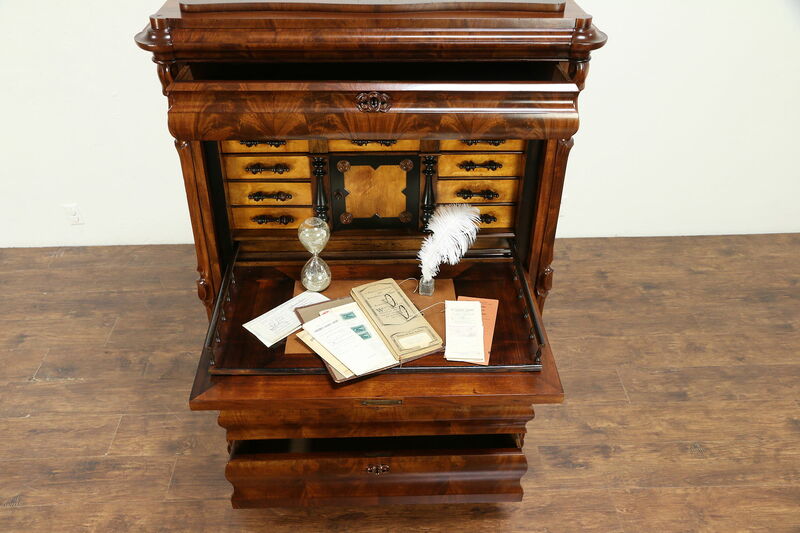 Inside is genuine rosewood and curly "birdseye" maple with a sliding letter tray and leather panel. 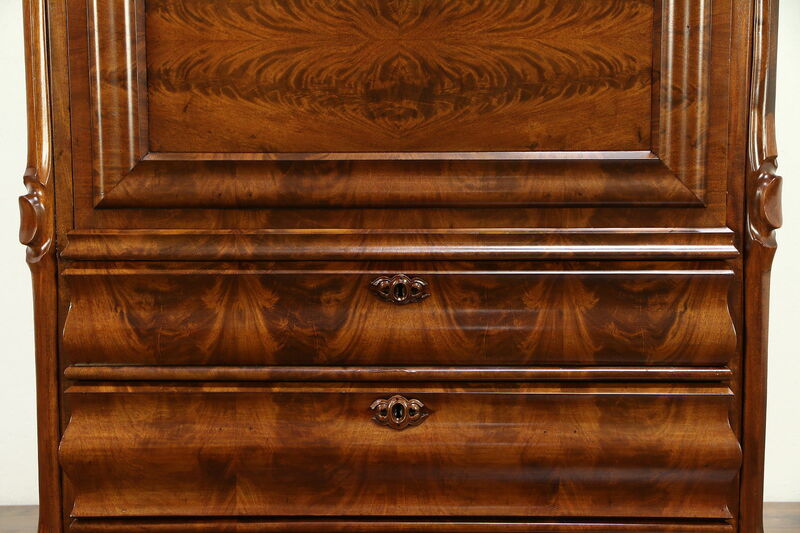 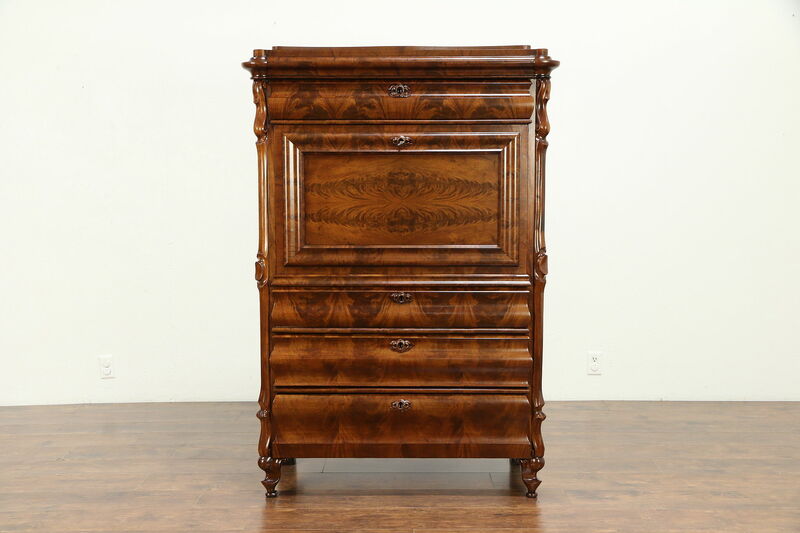 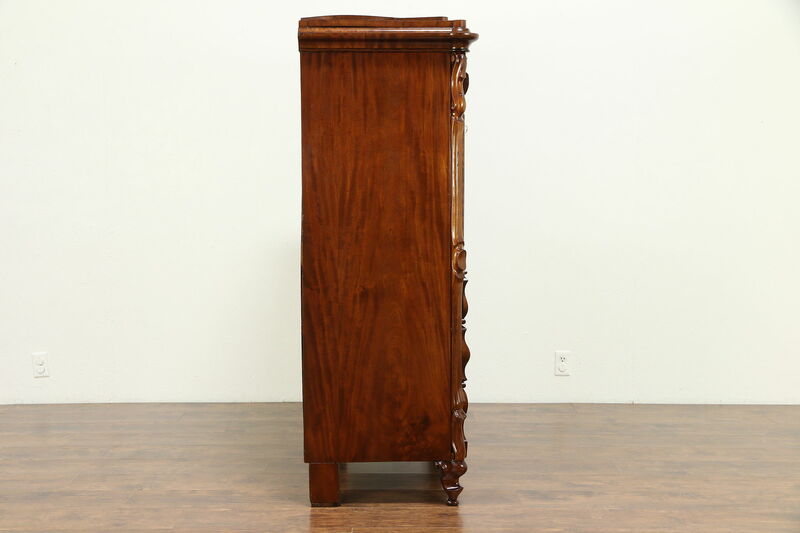 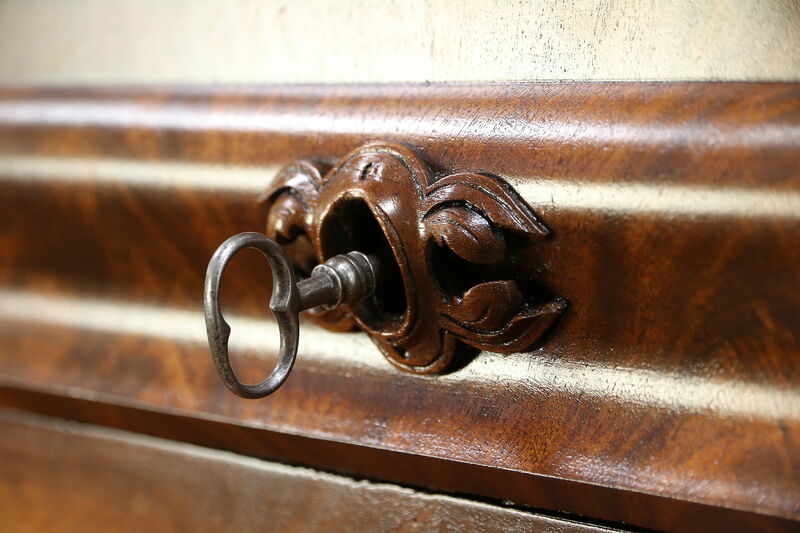 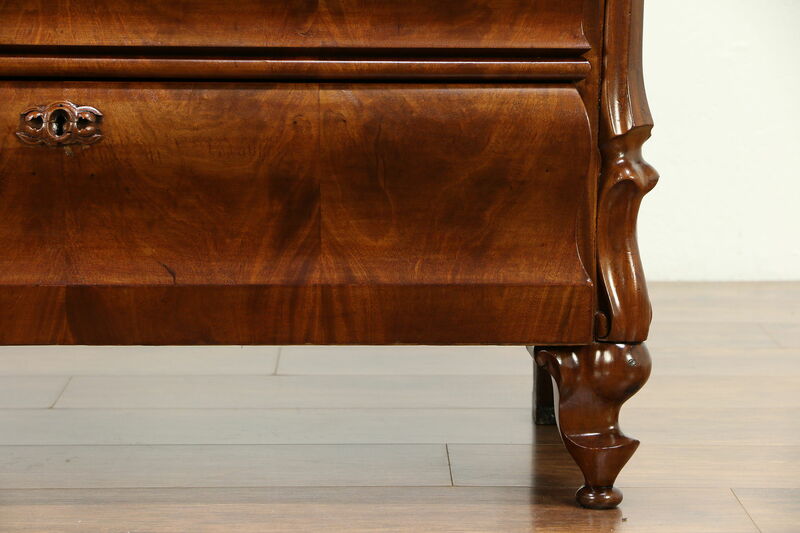 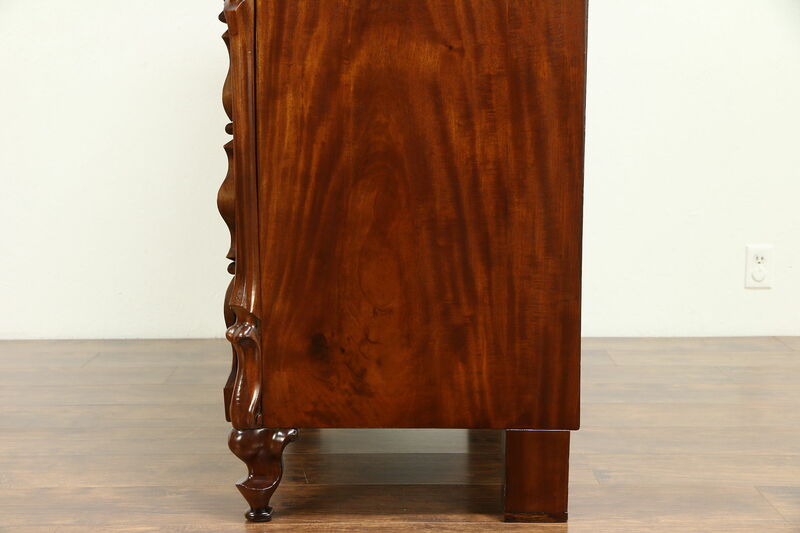 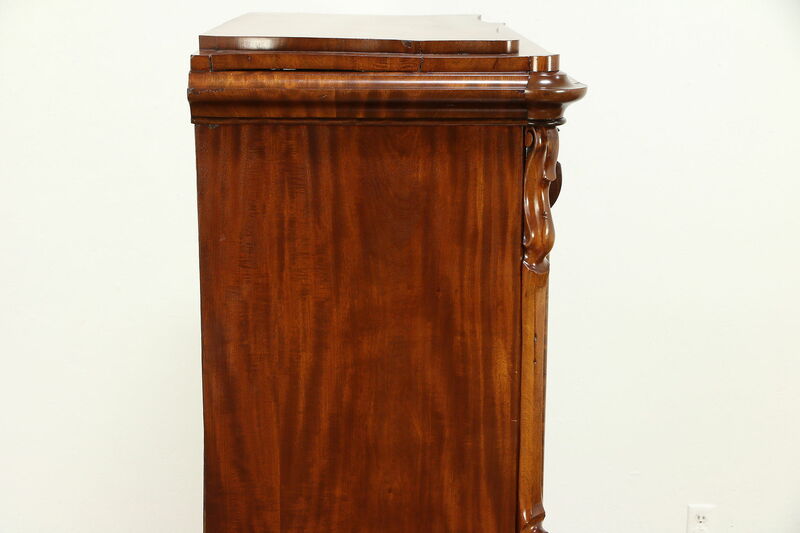 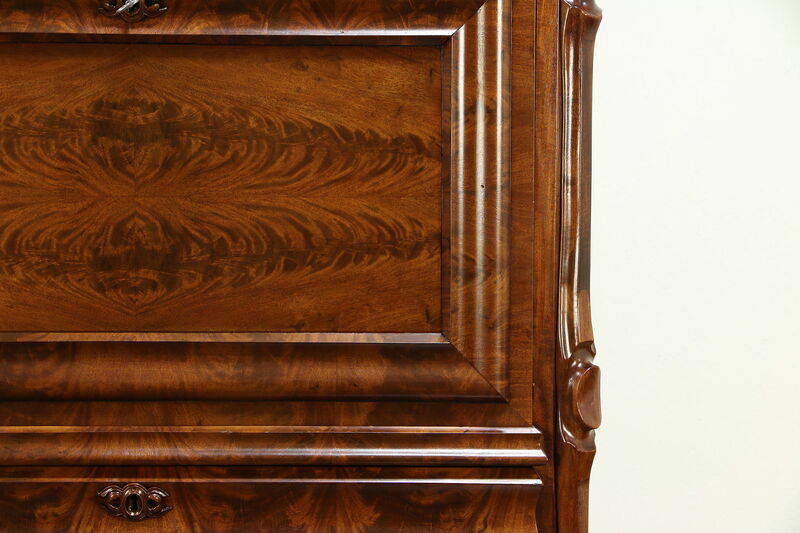 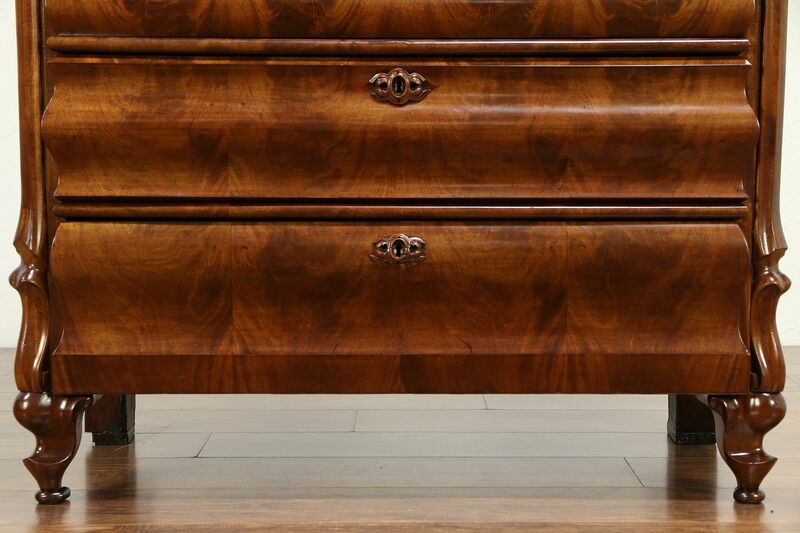 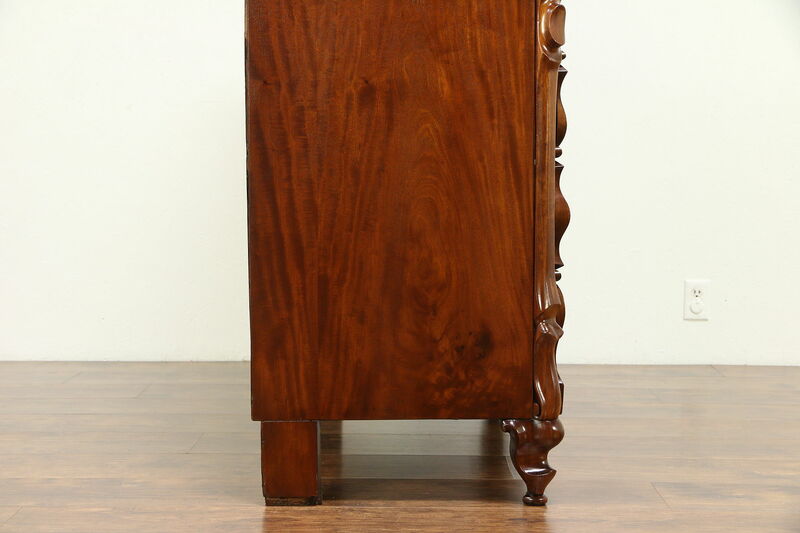 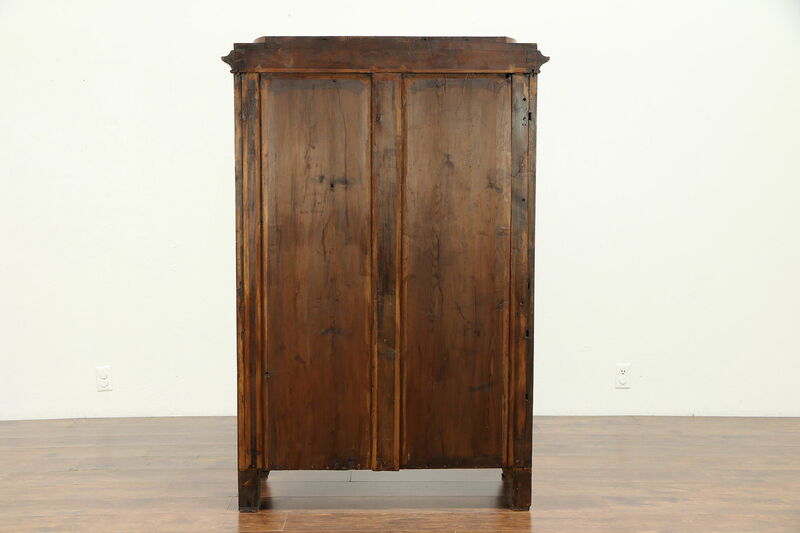 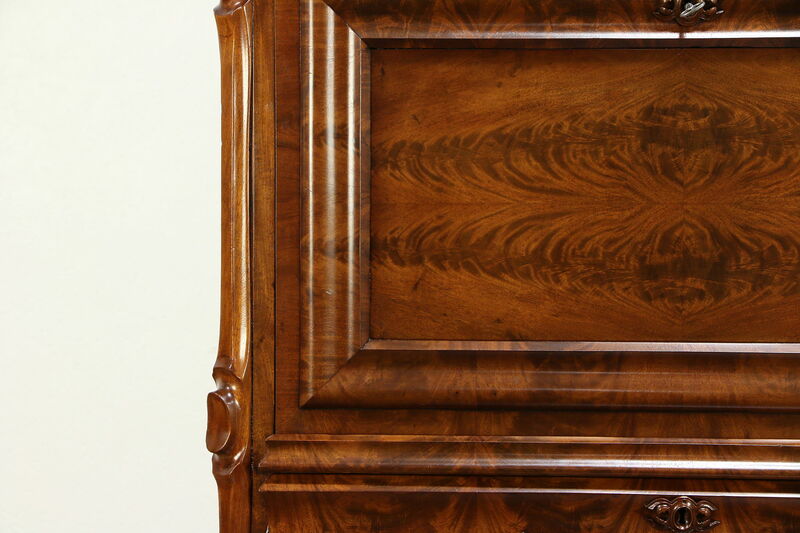 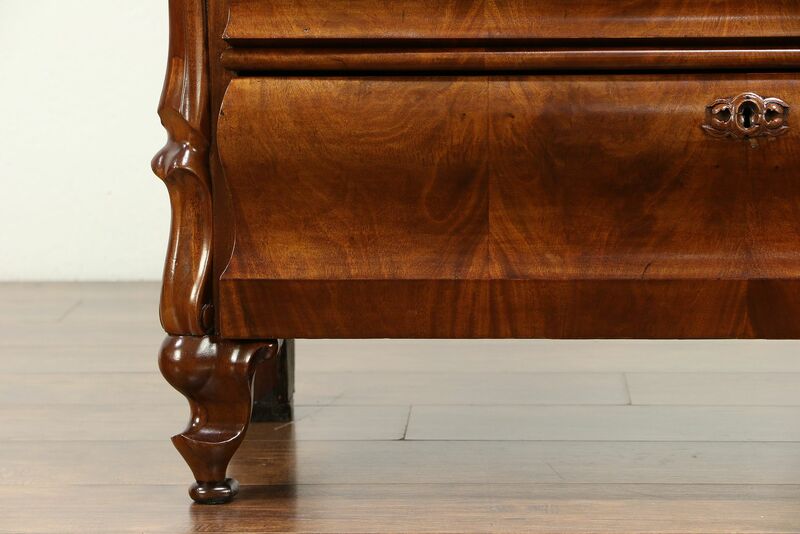 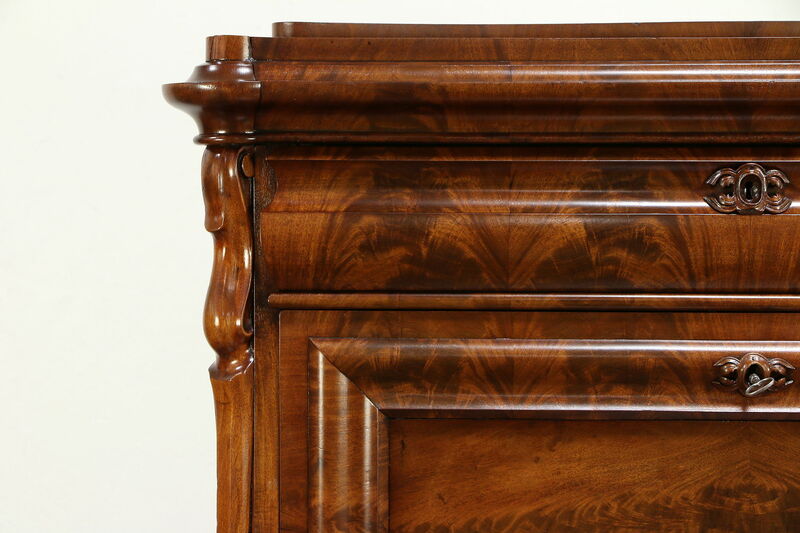 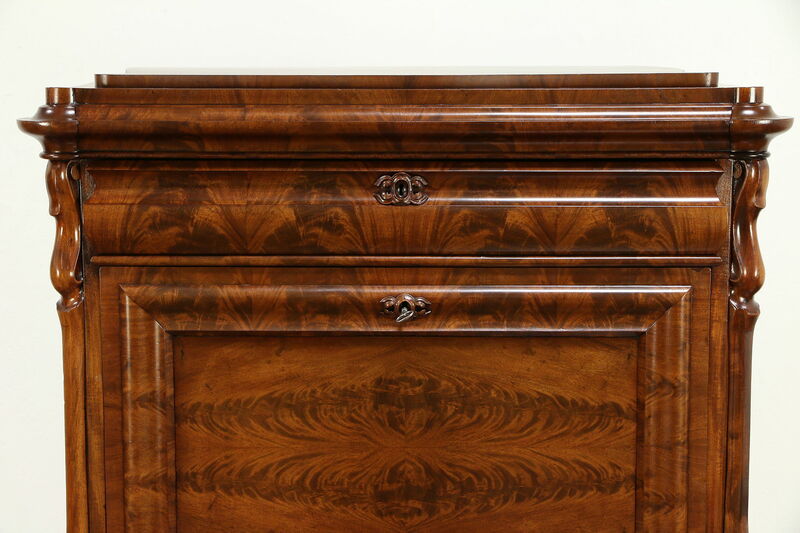 The restored finish is in excellent condition on this antique European furniture. 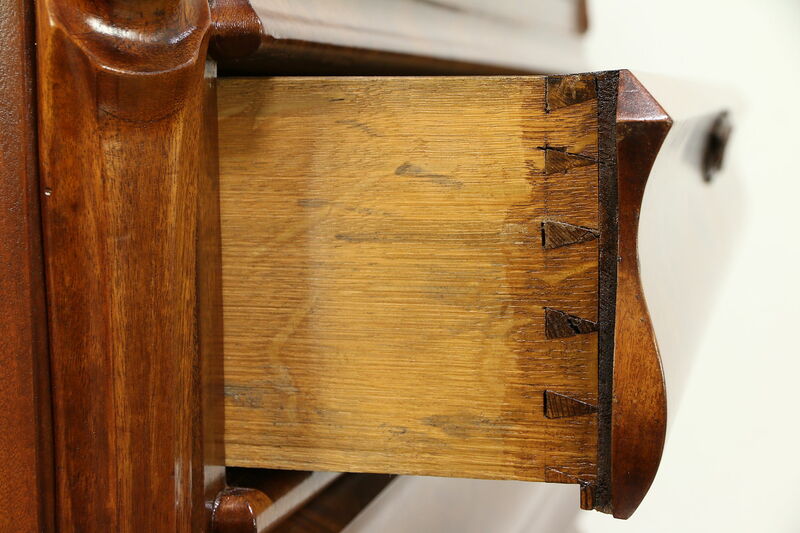 There are minor warps and shrinkage separations from age, see photos. 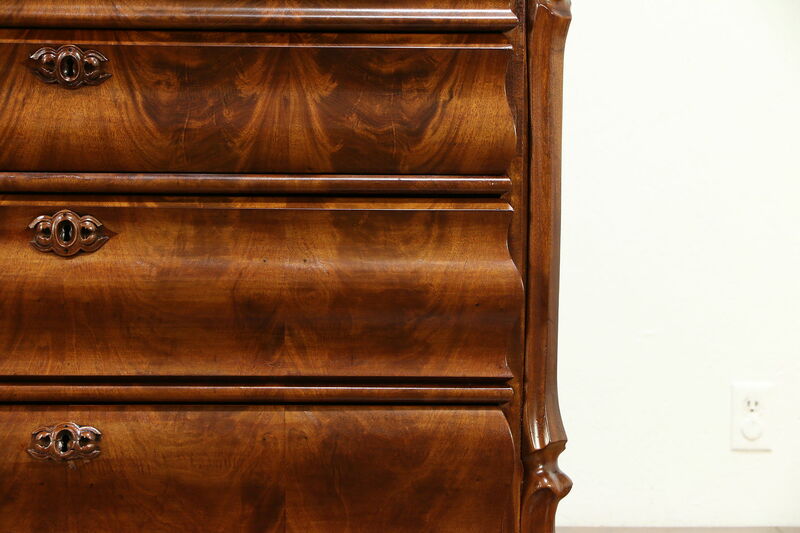 Drawers have solid oak sides with hand cut dovetail joints. 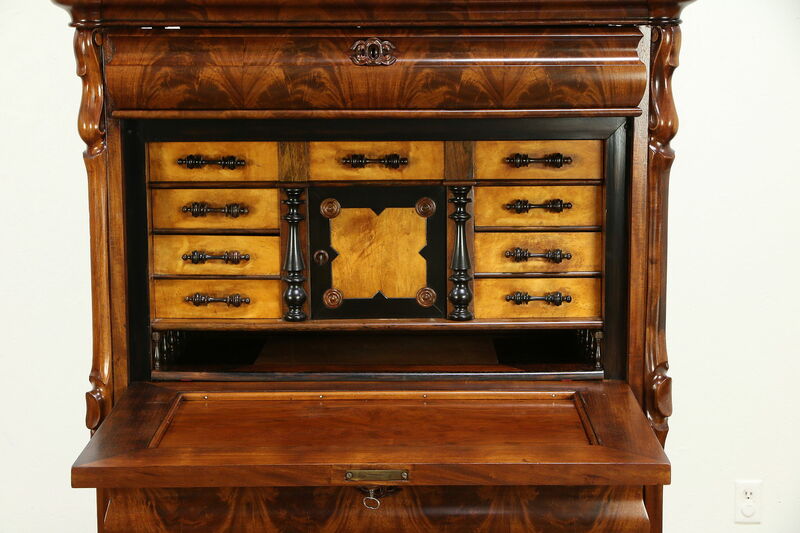 One key operates the outer drawers and drop front locks, another key works the interior compartment. 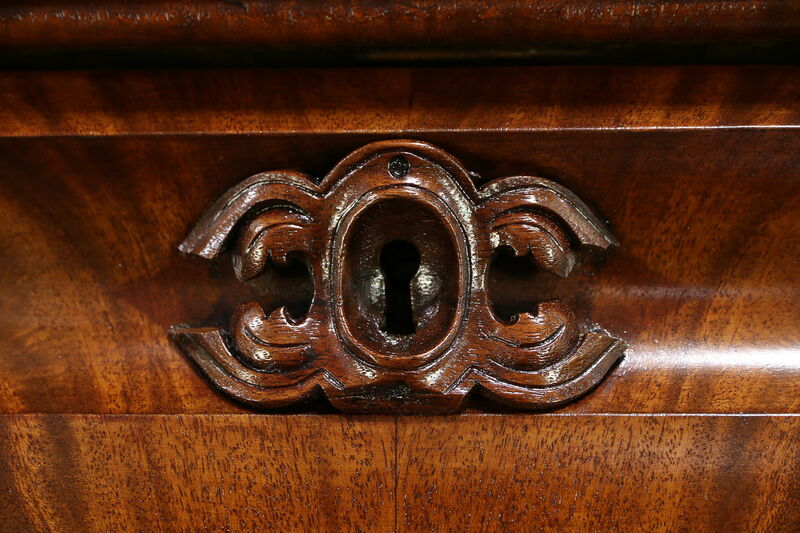 Spindle pulls, carved of solid rosewood, are charming. 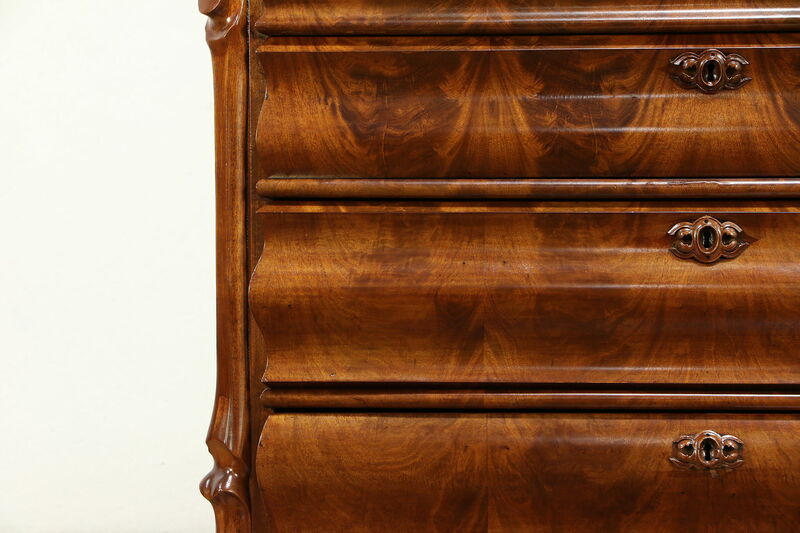 The drop front has a counterweight mechanism that supports the lid gently when opened. 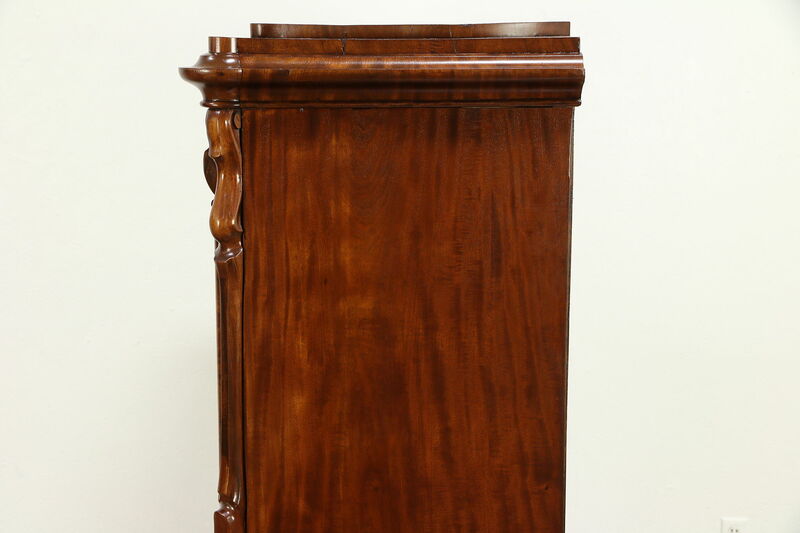 Measurements are 42" wide, 22" deep and 62" tall, the desktop is 32 1/2" high or stool height.